Peripheral neuropathy is a frustrating, life impairing condition that is frequently overlooked until it’s too late to treat effectively. This disorder involves nerve damage that affects the extremities of the body, such as the arms and legs, with symptoms that often include pain resembling the experience of pressure from pins and needles. It may result from an underlying cause such as diabetic neuropathy, or the disorder can be idiopathic, with no apparent cause. Common causes of peripheral neuropathy include vitamin deficiencies, injury, and medication. In many cases of peripheral neuropathy, the underlying cause is idiopathic. Fortunately, recent advances in treatment are offering relief even for idiopathic peripheral neuropathy sufferers. When it comes to the conventional treatment options available for peripheral neuropathy, many patients choose medication to alleviate their symptoms. 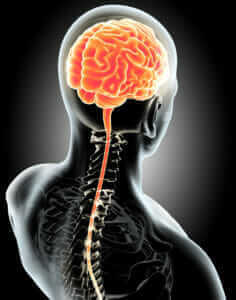 The most common medical treatment consists of prescription drugs, such as Gabapentin, Neurontin, Lyrica and Cymbalta. Unfortunately, these prescription medications interact with all of your nerves. They may relieve the pain that neuropathy can cause, but they won’t treat the underlying condition. There are better options available for sufferers today, and you can choose the treatment option you believe is best for your health. Many people choose chiropractic care to fight this disorder. This solution gives sufferers a noninvasive yet effective way to treat their condition. There are several causes of neuropathy, ranging from diabetic neuropathy to chemotherapy treatment and nerve compression syndromes. Chiropractic care treats peripheral neuropathy by targeting affected areas with physical therapy. Patients who receive this treatment report a significant reduction in their symptoms. Each session improves the condition of the extremities, and the pain will slowly decline with chiropractic care. Peripheral neuropathy sufferers respond well to this method because it focuses on their pain. Chiropractic therapists take the time to understand why the patient is experiencing symptoms, and their solution focuses on alleviating those concerns. After examining the source of the problem, the therapy sessions can begin. Sufferers should notice relief even if they’re experiencing a chronic case of peripheral neuropathy. If symptoms persist, we can try a different approach. We work with you to understand and treat your peripheral neuropathy pain. Get A Peripheral Neuropathy Evaluation For Just $75 (A $350 Value). Limited Time Offer. In many cases, the initial symptoms are mild, but worsen over time - moving from the toes to the feet, the legs and can even affect the hands. The unique treatments offered at Virginia Family Chiropractic do not simply mask the symptoms of peripheral neuropathy. Our treatments are designed help you regain lost nerve functionality. When nerves are healthy they will not send signals of sensations that aren’t really there. Improved nerve metabolism and function means less pain, less numbness and tingling, normal sensation and better balance. Candidates that qualify for treatment generally experience a reduction in their neuropathy symptoms in a matter of weeks. Also, most patients experience increased stamina and enjoy better balance that leads to a healthier more active lifestyle.